Dare to try a "Fear Factor inspired" exotic food? In Asia, exotic foods are not unusual at all, but most of these are not commonly found in restaurant menus. 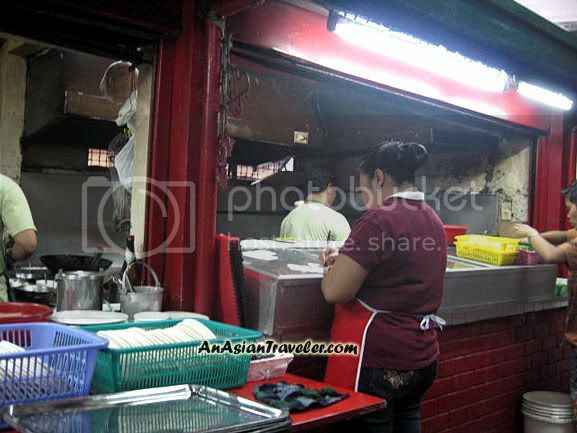 In most parts of the Philippines, you'll have difficulty finding these dishes since there are no Night Market Exotic Food stalls here. 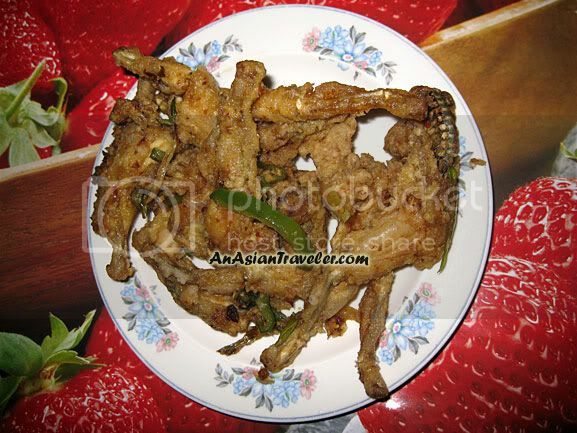 But there's a small fast-food that HB discovered somewhere in Binondo offering this exotic FRIED FROG LEGS. 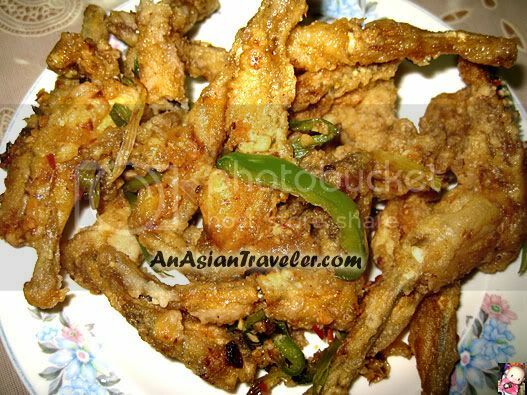 This crisp brown fried frog legs is an instant hit in our home. Every now and then, we have a real craving for it. Yes, quite often in fact. What has made it an instant hit? Bizarre it may seem but this exotic dish has a smooth texture and it tastes like chicken wings. It's palatable and scrumptious. And it goes so beautifully with rice! So, are you brave enough to try this dish? Or do you have qualms eating something out of your "cuisine comfort zone"? i tried frog once in one of the indigenous areas we support. they put the frog inside a bamboo node and add the other ingredients there. then they cook it over the fire. even when the frog is cooked, it still looked like a frog because the skin was still intact. agh. i tried it to please our hosts. it was good except i can't get the image of the frog out to really enjoy. haha! the one in your blood looks good but i'm not sure if i will try it on my own. haha! i use to catch these frogs and we use to cook porridge with some ginger and onions shoots. Meanwhile, Blogtrotter 2 is in Haiti. Hope you enjoy and have a great weekend! !